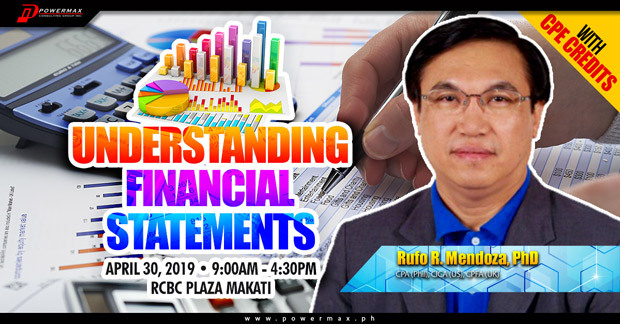 This seminar provides the participants with a comprehensive knowledge on the various elements that comprise the financial statements, including their nature, classification, measurement, and presentation. It covers the accounting information system that the business must put in place to ensure that financial statements are fairly presented and generated on time. Discussions will include the interrelationship of accounts and the links among the different financial statements. The seminar concludes with analyzing the contents of the financial statements to make them more meaningful to users. 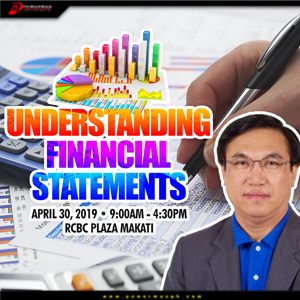 Illustrate the structure and contents of the statement of financial position, statement of comprehensive income, and statement of cash flows and discuss their relationship. Analyze the financial health of a business organization based on the financial statements. 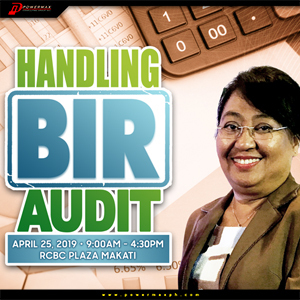 Dr. Rufo R. Mendoza is a Certified Public Accountant in the Philippines. He has a master’s degree in development management and a PhD in Community Development and Agribusiness Management both from the University of the Philippines Los Baños. He has more than 30 years of teaching and administrative experience in the graduate school of leading universities in the Philippines: Associate Professor, Chair of Finance and Accounting Department, and Program Director at the Asian Institute of Management (2013-2018); Academic Program Manager, Lecturer, and Head of Public Finance Cluster at the Ateneo de Manila University’s School of Government (2005-2011); Professorial Lecturer/Senior Lecturer at the UP Open University (2005-2013); Senior Lecturer at the University of Philippine Los Banos (1996-2003); and Graduate school professor at De La Salle Lipa. 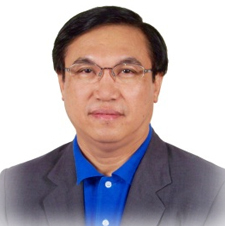 He has more than 20 years of experience in external audit and internal audit of private businesses. He has extensive experience in consulting with international development organizations as Senior Consultant in Public Financial Management (PFM) at the European Commission Technical Assistance for the Health Sector Policy Support Program (2008-2010); PFM Advisor at the Provincial Road Management Facility of the Australian Agency for International Development (2008-2012); and PFM Consultant in the World Bank, UNDP, and USAID. He was Consultant at the Presidential Anti-Graft Commission, Department of Health, Department of Budget and Management, and several local government units. He was Vice-Chair (2011-2014) and Member (2007-2011) of the Professional Regulatory Board of Accountancy and Chair of the Continuing Professional Development Council (2009-2014). For three years (2011-2014), he was the country’s delegate to the ASEAN Meetings of Professional Regulatory Authorities for the Mutual Recognition Arrangement on Accountancy Services.